Looking for a new way to spice up your Taco Tuesday? Look no further because Gonza Tacos y Tequila has got you covered! They offer a fresh spin on classic tacos that keep you wanting more. Gonza Tacos y Tequila is located at 2100 Hillsborough Street Raleigh, NC 27607, beside the Aloft Hotel. This location provides an amazing view of the Bell Tower and is just a short walk from NC State’s campus. This restaurant is great for just a casual dinner or a celebration, happy to accommodate to a party’s needs. In addition to their great location, they also have great food options for everyone. I went to Gonza Tacos y Tequila on a Friday around 12 o’clock. Even with a lunch crowd, the service was very fast and the wait staff was helpful with any questions I had. I started my meal with an appetizer of chips, guacamole and salsa. They were all very fresh and delicious. Gonza Tacos y Tequila also offers great queso as a starter. For my meal, I ordered the Pastor tacos. These consisted of shredded pork, pineapple, onion, cilantro and tomatillo salsa inside a corn tortilla. They were sweet from the pineapple and savory from the pork, which gave me a Hawaiian feel. All the ingredients tasted very fresh and left me wanting more. 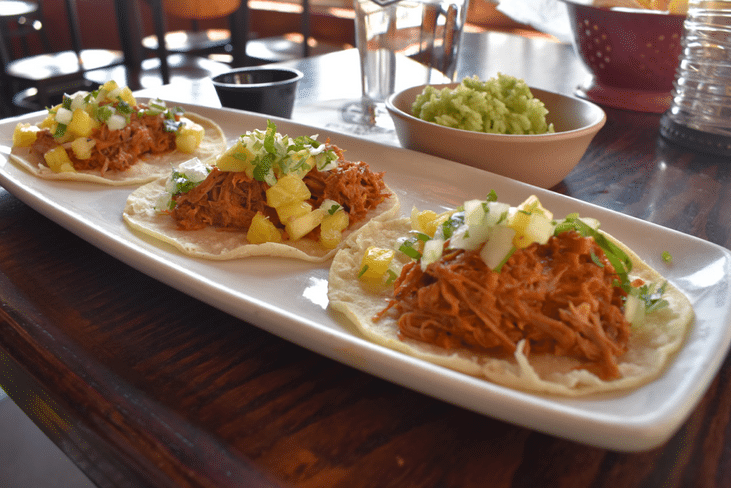 Gonza Tacos y Tequila offers fun options everyone will love. 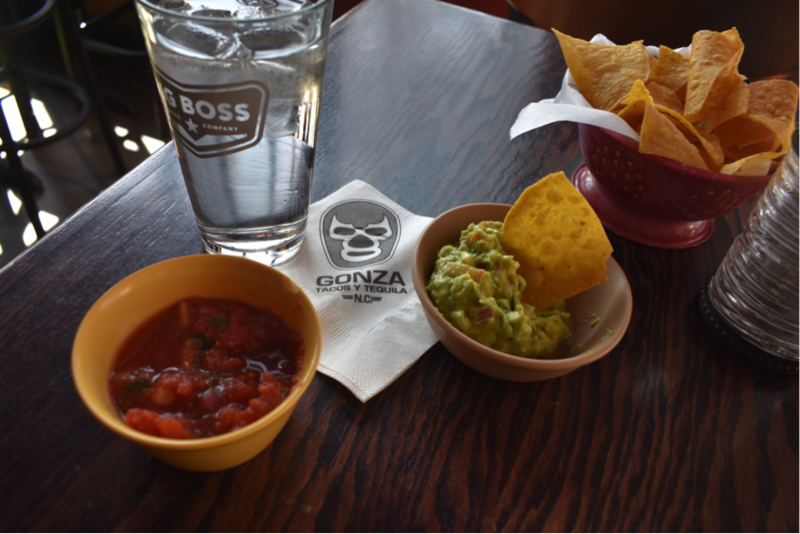 So for your next Taco Tuesday, give Gonza Tacos y Tequila a try!